University of Pennsylvania tops the list of colleges with the most billionaires as undergraduate alumni, according to a Wealth-X and UBS report. 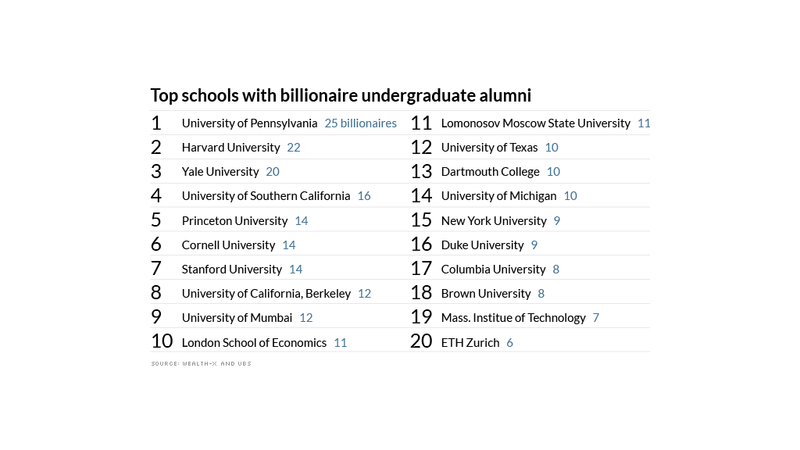 In perhaps the most prestigious college ranking, a new report lists colleges with most global billionaire grads. According to Wealth-X and UBS's "Billionaire Census," the University of Pennsylvania tops the list of 20 schools with the highest number of billionaire alumni. The rest of the list reads like a laundry list of Ivy League and prestigious U.S. universities. Some schools beyond the ivory tower made the cut: University of Mumbai and Moscow State University. Schools that are tied were ranked by Wealth-X in terms of which has the wealthiest billionaires. 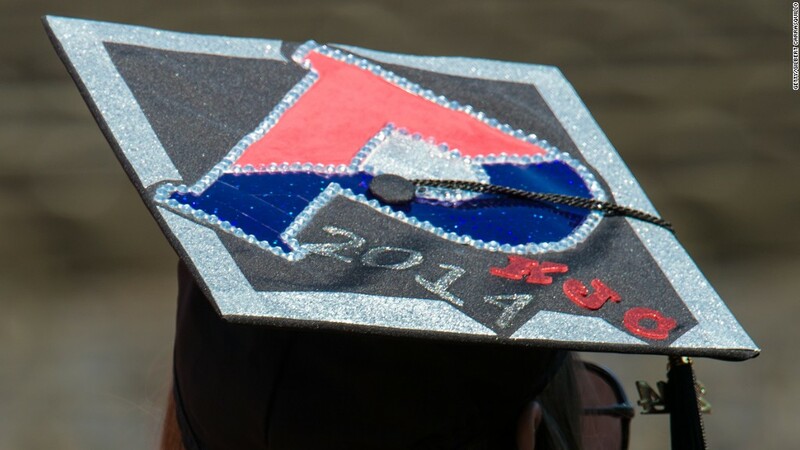 One surprising fact: 35% of billionaires didn't graduate from college.